During the American Revolution, which two nations of the Haudenosaunee sided with the United States? The post Trivia Question #6 appeared first on Tribal College Journal of American Indian Higher Education. Which one of the 19 Pueblos did not take part in the Pueblo Revolt of 1680? The post Trivia Question #5 appeared first on Tribal College Journal of American Indian Higher Education. Other than being Native peoples, what do the Blackfeet, Shawnee, and Anishinaabe have in common? The post Trivia Question #4 appeared first on Tribal College Journal of American Indian Higher Education. Residents in and around Browning have long contended with a lack of access to qualified healthcare professionals and services on the Blackfeet reservation. 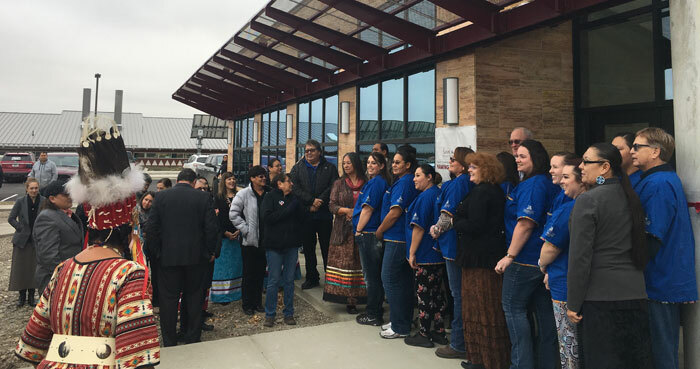 The post Blackfeet Community College Honor Elouise Cobell in Naming New Building appeared first on Tribal College Journal of American Indian Higher Education. Which state has the largest Native population? The post Trivia Question #3 appeared first on Tribal College Journal of American Indian Higher Education. Who were three of the most prominent leaders in the occupation of Alcatraz Island? The post Trivia Question #2 appeared first on Tribal College Journal of American Indian Higher Education. The post 11/7 – test trivia #3 appeared first on Tribal College Journal of American Indian Higher Education. The post 11/6 – test trivia #2 appeared first on Tribal College Journal of American Indian Higher Education. The post 11/5 – test trivia #1 appeared first on Tribal College Journal of American Indian Higher Education. 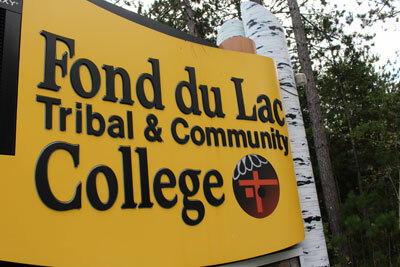 The 25th annual Giving Thanks Feast at Fond du Lac Tribal and Community College (FDLTCC) will be held on Thursday, November 15, 2018. The event is sponsored by the student life organizations on campus and begins with an opening ceremony at 5:00 p.m. The post Fond du Lac Tribal and Community College Prepares for Giving Thanks Feast appeared first on Tribal College Journal of American Indian Higher Education. Oglala Lakota College, based in Kyle, is being awarded $491,493 to help Oglala Lakota College purchase equipment to set up Smart Rooms in nine of its instructional centers. The post Grants to Increase Access to Education, Workforce Training and Health Care in Rural Communities appeared first on Tribal College Journal of American Indian Higher Education. The post National Native American Hall of Fame Names First Twelve Historic Inductees appeared first on Tribal College Journal of American Indian Higher Education. The post Trivia Question, Nov. 5 appeared first on Tribal College Journal of American Indian Higher Education. The post Billy Ray Cyrus Rocks Stand-N-Vote Concert in North Dakota to Urge Native American Voting appeared first on Tribal College Journal of American Indian Higher Education. “I think that there hasn’t been enough awareness of health careers beyond student nursing and at-life health professions for Native students,” said Carrie L. Billy, president and CEO of American Indian Higher Education Consortium. The post Report: Minimal Growth of American Indians and Alaska Natives in Medicine appeared first on Tribal College Journal of American Indian Higher Education. The contributions to Indigenous education of Aunty Anne Leisha have been recognised today (Thurs) at a World Indigenous Nations Higher Education Consortium (WINHEC) Awards Conferral Ceremony. The post Indigenous Education Leader Receives International Award appeared first on Tribal College Journal of American Indian Higher Education. The haunted house has been said by many to be the scariest attraction in Bismarck. The post Horror on Harmon Hopes to Scare $7,000 for Student Scholarships appeared first on Tribal College Journal of American Indian Higher Education. The tribal college movement was founded on a prayer, but it remains the challenge of each TCU to ensure the incorporation of spirituality into its college culture. The post Lifting Our Vision appeared first on Tribal College Journal of American Indian Higher Education. Khéya was always the happiest, most compassionate, prayerful, and loving person among her people. But then wakȟáŋšiča concocted an evil plan to hurt her. The post Khéya Saves Her People appeared first on Tribal College Journal of American Indian Higher Education.